Our permits are with Majune Safaris in Mozambique, which offers this hunt for only 25,000 Euros + a trophy fee of 10,000 Euros. Also included are the right to shoot numerous species for the regular trophy fees to include Cape Buffalo, Sable, Eland, Hyena, Nyasa Wildebeest, Lichtenstein Hartebeest, Crocodile, etc. 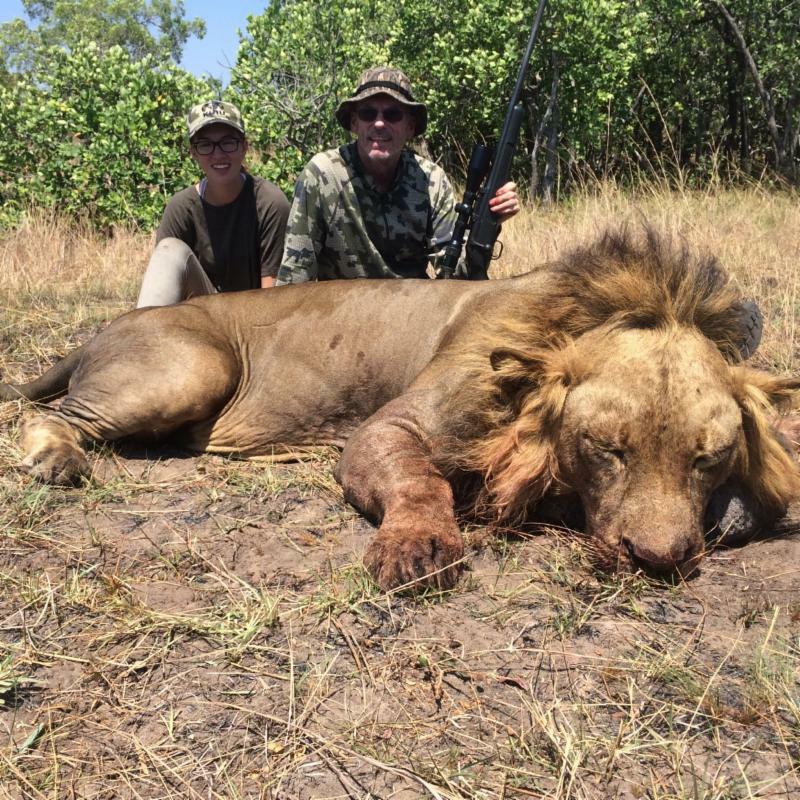 Our client, Dr. Scott Hebertson, just returned from his successful safari wherein he shot a huge Lion, and both he and his girlfriend shot plains game. Lad Shunneson was with our client, Mike Ward, when he shot his magnificent Lion last season along with numerous other species, including Cape Buffalo. His daughter, Caroline (on the left), added plains game. Importation: Mozambique is one of the countries from which Lions can be imported IF USFWS finds that the hunting programs enhance the survival of the Lion in the wild. That is certainly the situation in Mozambique, but it must be proven to USFWS. 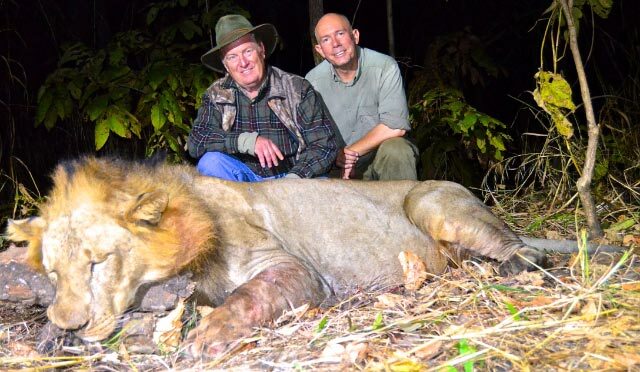 Leopard: You can hunt Leopard, Buffalo, Sable and Plains Game for 14-days for only 14,000 Euros + trophy fees, like our client, Don Loewen, did. 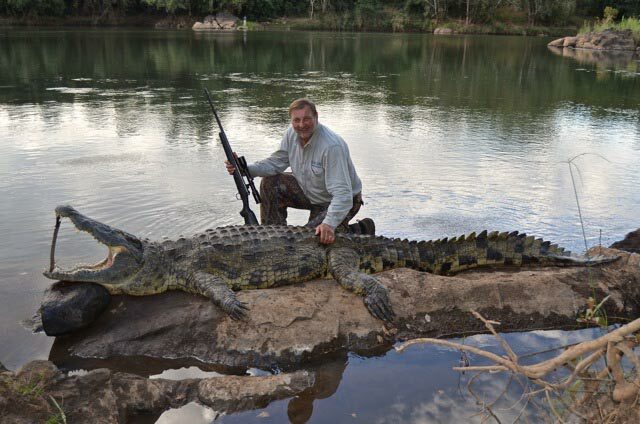 He was after only Leopard and Crocodile and he shot great specimens. Or you can add Leopard to the Lion hunt and increase the safari from 14 days to 21 days for an additional 9,000 Euros. 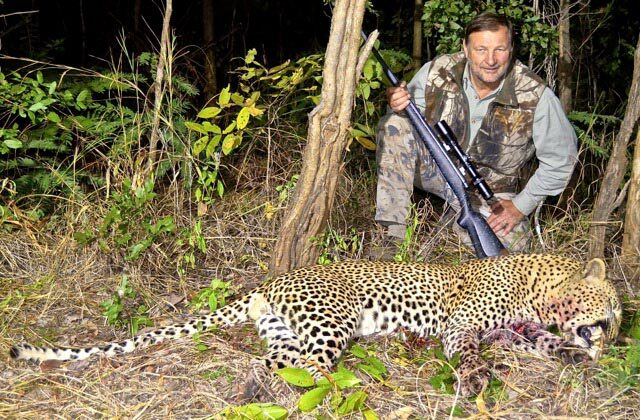 The trophy fee on Leopard is 4,500 Euros and on Croc is 1,600 Euros. Add 17% government tax on everything. 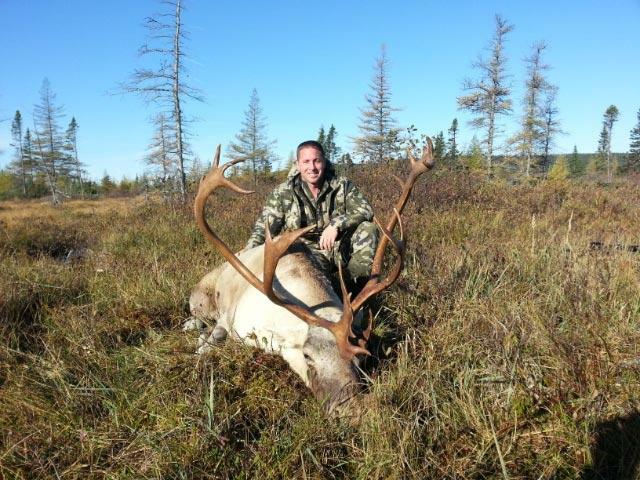 Our outfitter is 96 for 96 on Caribou for the last 6 years, so he is always sold out a year in advance. BUT HE JUST HAD 2 CANCELLATIONS. You can snap them up for $8,000 each + the license/tag price of $763. 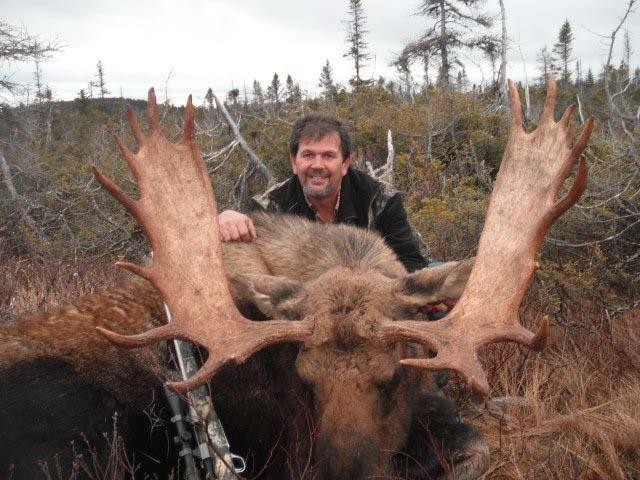 Our outfitter has just opened a new trophy fly-in concession that is expected to produce 45 - 50 inch Moose, and he has 2 openings for only $7,000 (including the helicopter costs) + the license/tag price of $567.